11:30 AM on Monday, March 3. Yéol, the Korean Heritage Preservation Society, is pleased to announce its 2014 English lecture series featuring distinguished scholars and experts in the fields of Korean art, culture and history. Since 2003, Yéol has aimed to appeal and inspire cultural enthusiasts, expatriates, as well as the general public so as to increase understanding of the Korean society and culture. Such efforts are a critical part of our foundation’s mission. This year lecture series consists of six lectures at the Seoul Museum of History and two walking lectures which offer customized guided tours of specific cultural sites or unique cultural and heritage experiences. The Yéol Lecture welcome a diverse audience to our program in 2014. 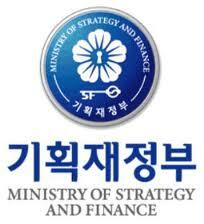 We are committed to a dialog with all individuals and groups drawn to Korea and its culture. Yéol will provide a light lunch (by reservation) for this event to encourage participation of the working professionals. To attend, please RSVP with Choi, Hee-Hyeon atyeol400@daum.net or 010-4692-6851. 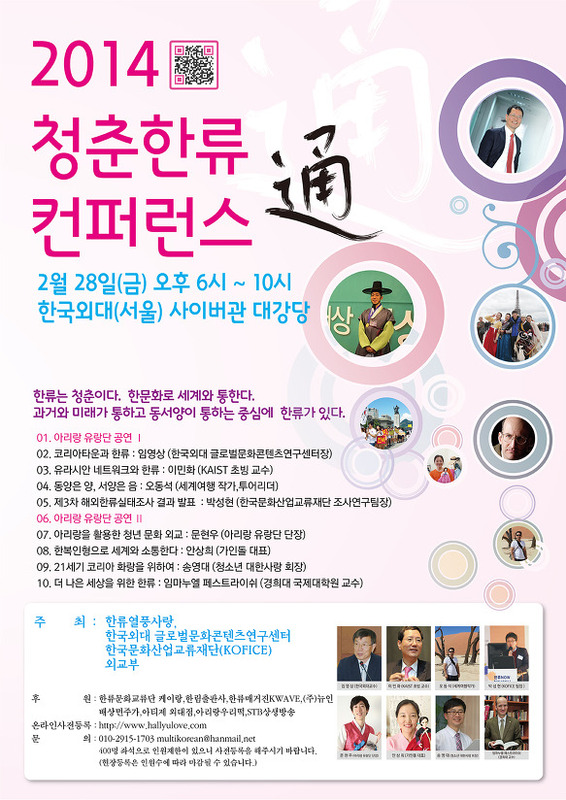 “Engaging China and Discovering Korea’s True Strengths-The Philosophy of Park Jiwon” will be held onMonday, March 3. The international community wrestles with a response to the increased cultural and economic influence of China in East Asia. Yet we can learn much from the insights of the Korean scholar and writer Park Jiwon who formulated a practical and thoughtful response to China in the 18th century that stressed an informed engagement. Park Jiwon also wrote about contemporary society and the gaps between social groups in an increasingly polarized society. His suggestions for how such issues can be addressed through cultural activities are as relevant today as they were when he wrote. 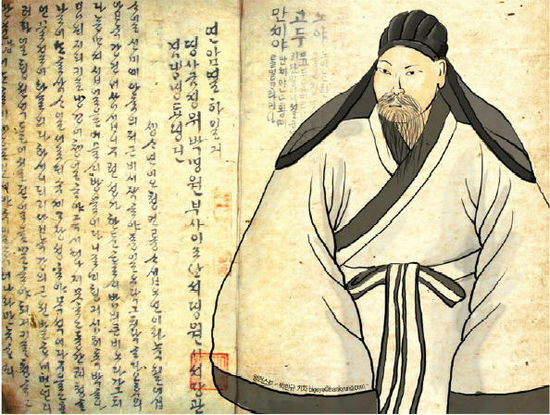 Moreover, Park’s writing suggested a potential within the Confucian tradition for innovation that has often been overlooked by contemporary writers. Park Jiwon was one of the most important intellectuals of the 18th century in Korea. But as he strove to transform the nation, he realized that he could not do so simply through policies or arguments to the government. He had to change people’s perceptions. His answer was a series of compelling novels that described for the first time the lives of ordinary people and drew attention to what was so extraordinary in their experiences. He made visible the world of beggars, farmers, con men, day laborers and widows. Those who had no voice in Joseon society suddenly had a chance to articulate their perspectives. 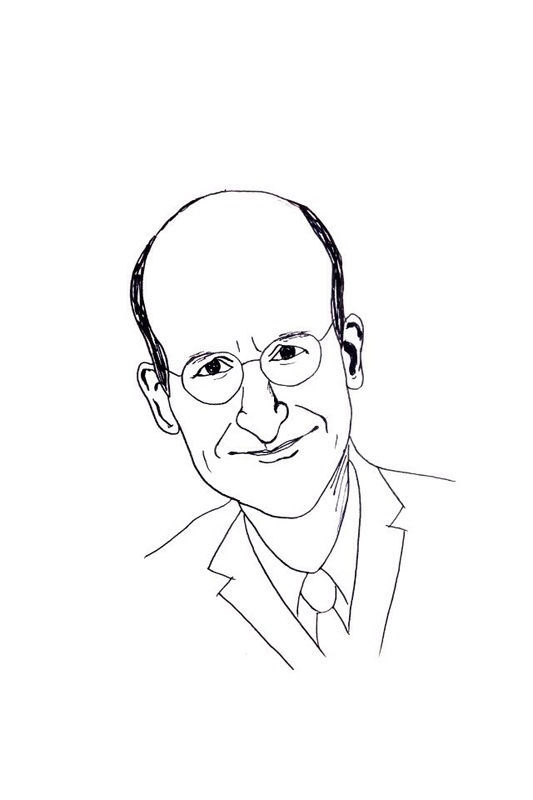 Emanuel Pastreich is director of the Asia Institute in Seoul and associate professor at the College International Studies of Kyung Hee University. Pastreich studied the classical literatures of China, Japan and Korea, producing two important books on Korean and Japanese classical novels. He has taken a strong interest on the writings of Park Jiwon over the last decade, translating ten of his novels into English. * Donation receipt can be issued. 중국 내몽골 다라터치의 산뜻하게 페인트칠한 농가 뒤편으로는 완만하게 이어진 낮은 구릉이 펼쳐지고, 들판에는 소와 양들이 한가로이 풀을 뜯고 있다. 그러나 농가의 서쪽 방향으로 100미터 정도만 걸어가면 이런 전원적인 현실과는 동떨어진 풍경과 마주하게 된다. 바로 눈 닿는 곳까지 끝없이 펼쳐진 모래의 물결, 생명의 징후가 전무(全無)한 쿠부치 사막이다. 기후변화가 초래한 흉악한 산물인 쿠부치 사막은 지금도 800킬로미터 떨어진 베이징을 향해 가차 없이 동진(東進)하고 있다. 만약 사막의 동진을 이대로 둔다면 머지않은 장래에 중국의 수도인 베이징마저 점령 당하게 될 것이다. 워싱턴에서는 아직 쿠부치 사막이 보이지 않지만, 사막의 모래는 강한 바람을 타고 베이징과 서울은 물론, 일부는 미국의 동부 해안까지 이동한다. 사막화는 인류의 삶을 심각하게 위협하고 있고 모든 대륙에서 사막은 점점 더 빠른 속도로 커지고 있다. 1970년대 초기에 서아프리카 사헬 지역이 그랬듯이 미국도 1920년대 대평원에 불어 닥친 먼지폭풍(Dust Bowl)으로 엄청난 생명과 재산 손실을 입었다. 그러나 기후변화는 아시아, 아프리카, 호주, 미주 전역에서 수백 만, 궁극적으로는 수십억 명의 환경난민을 초래하는 등 사막화를 새로운 차원의 위협으로 키워 가고 있다. 말리와 부르키나파소에서는 확장하는 사막으로 인해 전체 인구의 6분의 1이 이미 난민으로 전락했고, 유엔환경계획(UNEP)에 따르면 소리 없이 확대되는 모래 사막으로 전 세계가 지불해야 하는 비용이 연간 420억 달러에 달한다고 한다. 점점 커져가는 사막은 메말라가는 바다와 녹아내리는 극지 빙하, 지구상의 동식물 감소와 함께 우리의 세계를 알 수 없는 상황으로 만들고 있다. 어쩌면 NASA의 화성탐사로봇 큐리오시티가 보내온 척박한 사진 속 풍경은 우리의 비극적인 미래의 단편일지도 모른다. 하지만 워싱턴 싱크탱크의 웹사이트만으로는 사막화가 세계 종말의 전조라는 사실을 눈치채기 어렵다. 브루킹스 연구소에서 ‘미사일’이라는 키워드로 검색했을 때 1,380개의 결과를 찾아냈지만 ‘사막화’ 검색 결과는 24개에 불과했다. 헤리티지 재단 웹사이트에서는 ‘미사일’에 대해 2,966개를, ‘사막화’에 대해서는 단 3개의 검색 결과가 표시됐다. 사막화와 같은 위협은 이미 수많은 사람들의 목숨을 앗아갔고 앞으로도 수십 년 안에 더 많은 사람들의 목숨을 빼앗아 갈 것이지만, 일부의 목숨을 겨냥하는 테러리즘이나 미사일 공격 등 전통적인 안보 위협만큼 큰 관심이나 지원은 받지 못하고 있는 상황이다. Korea is getting a lot of attention around the world, whether it is for the rise of Korean female golfers or for the promotion of Koreans to the top positions in the international community at places like the United Nations or the World Bank. Nevertheless, despite Korea’s rapid emergence on the world stage, there remain some glaring blanks in Korea’s impact on the world that suggest there are fundamental problems that hold Korea back and can be rather baffling for a long-time resident like myself. Let me give an example. One of the greatest advantages for someone with a background in East Asian studies about living in Korea is the large number of experts in Chinese, Japanese and Korean studies from just about every field (history, literature, economics and anthropology) that you can find in Seoul. If you want to put together a seminar on the poetry of ninth-century China, Japan and Korea, you can find 30 people, often with considerable specialization, for an in-depth discussion. 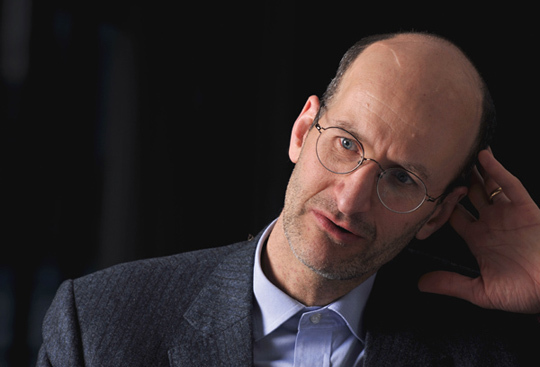 It is a unique advantage for Korea because you could not put together that sort of a group of experts in Chinese, Japanese and Korean studies in Tokyo, Beijing or Boston. Although University of Tokyo and Harvard University produce excellent doctorate degrees in Asian studies, in terms of scale, and increasingly in terms of quality, there is no comparison with the number of Ph.D. students trained at the top Korean universities. And yet Korea has not become the center for Asian studies you might expect. North Korea has been an intractable problem for the international community for the last two decades, defying multiple initiatives and efforts to build confidence. Yet recently there have been major geopolitical shifts in the region, and changes in the very paradigms used to conceive of security in East Asia. Those significant shifts hint at new potentials for serious engagement that have been echoed in discussions in government at the highest levels. This seminar will explore a variety of perspectives on engagement going forward. The misuse of information is one of the most serious challenges for a society that depends on cyberspace. Such abuses threaten to create, in the not-too-distant future, a world in which the details of our lives can be easily collected and manipulated without our knowledge. The massive leaks of consumers’ financial information that have roiled Korean politics for the last week are just the tip of the iceberg in a shift in our society, which extends to the recent abuse of information by the National Security Agency in the United States and many other cases that have received less attention. But it would be a mistake to judge the increase in both the abuse of information and the fabrication of information simply in moral terms. Although there is greed and arrogance among people, the stark fact is that the ability to gather and alter information is increasing at an exponential rate, in accordance with Moore’s Law. Although we can criticize people for being seduced by the power offered by exponential increases in IT technology, going after bad people will not address the issue. 최근 국제대회에서 멋진 플레이를 보이는 한국 여성 프로골퍼들, 국제 정치무대에서 눈부시게 활동하는 유엔의 반기문 사무총장, 그리고 세계은행의 김용 총재 등으로 인해 한국은 큰 주목을 받고 있다. 한국의 약진(躍進)은 분명한 사실이다. 하지만 나처럼 한국에 오래 거주해 온 사람으로선 이렇게 좋은 교육과 인프라에도 불구하고 한국이 세계에 영향을 끼칠 수 있는 가능성 중에 아직도 여기저기 빈자리가 남아 있다는 것을 도저히 이해할 수 없다. 예를 들면 중국학을 연구하는 나로선 한국, 특히 서울에 살며 혜택이 많다. 거의 모든 분야(역사·문학·경제·인류학 등)의 전문가들을 서울에서 수시로 만날 수 있기 때문이다. 만약 여러분이 서울에서 중국·일본 또는 한국의 시문학(詩文學) 세미나를 열고자 한다면 각 분야에 상당히 전문적인 식견을 가진 전문가 30~40명 정도는 어렵지 않게 한데 모을 수도 있다. 도쿄·베이징·상하이 또는 보스턴에서는 그런 분야의 전문가들을 한꺼번에 모으는 게 그리 쉬운 일이 아니다. 오직 한국에서나 가능한 일이라고 할 수 있다.